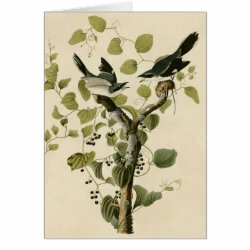 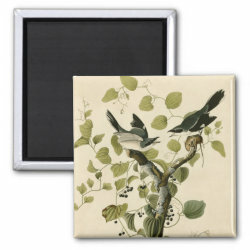 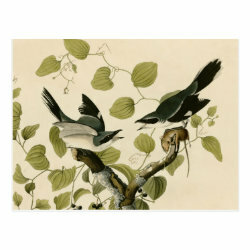 This is a fine reproduction of a painting by famed ornithological artist John James Audubon. A pair of Loggerhead Shrikes (male and female) fight over a prey item - a mouse. 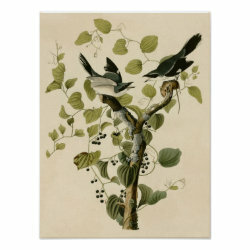 The original dynamic lifelike painting was created for Audubon's masterwork, Birds of America, is around 1829.